In Zhongda, large buildings and small markets are co-existed, and two parts can be perfectly supplemented one another. Just like Wufeng Dongchang and China Fabrics & Accessories Center. Sourcing textile fabrics in Zhongda might be a wise move for buyers to reach out to millions of Chinese suppliers. It’s a total package. Here buyers might have a chance to find plenty of precious items which have been running short in the global market. 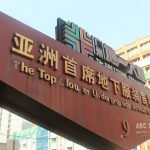 In China, having an acquaintance with the Zhongda Textile Area is an essential skill for each businessman if he is ready to get involved in the clothing industry. That said, without enough understanding of Zhongda, his business can’t probably go somewhere further. 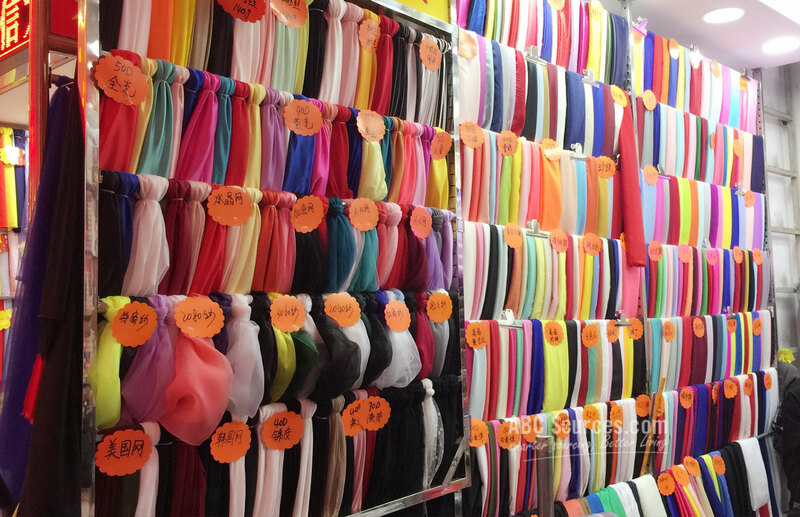 Zhongda is one of China’s two largest fabric wholesale markets. It is a huge market cluster consisting of 38 individual markets which are of any size and category. Today we are going to recommend the Wufeng Dongchang, a small one of this large market group. In Zhongda, large buildings and small markets are co-existed, and two parts can be perfectly supplemented one another. 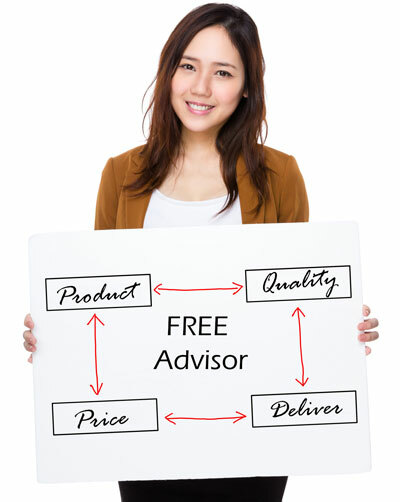 Just like Wufeng Dongchang and China Fabrics & Accessories Center. 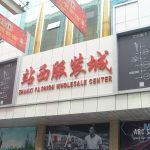 As we have said, China Fabrics & Accessories Center is the largest market in the whole Zhongda area, but right next to such a huge circular building, stands this 2-story old small market. That’s the Wufeng Dongchang. 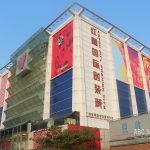 Wufeng Dongchang lies between the China Fabrics & Accessories Center and Ruikang Lace Accessories Market. From the outside appearance, it looks quite old and disorganized. 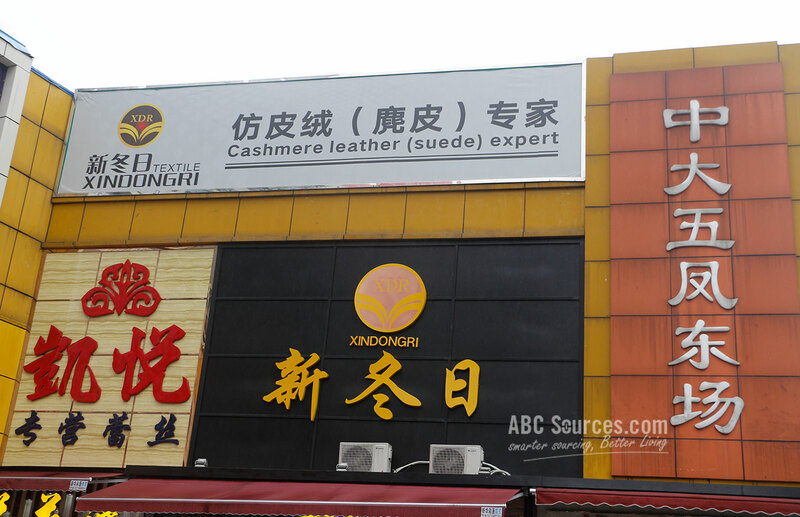 But this place is well-known for providing cashmere leather and PU items. 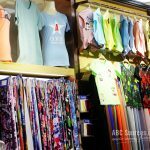 It only covers 2,000 square meters, and up to 150 stalls are dealing in wholesaling cashmere leather, suede, cotton cloth, embroidery, chiffon, satin, jeans, mesh cloth, PU, printings, soluble laces, and bar code etc. They are targeted at medium grade quality but with a fairly low price. Wufeng Dongchang is located on the Ruikang road, the center of the whole Zhongda textile circle. As usual, step out of the Zhongda Metro Station, walk about 200 meters straight, and then turn right to the Ruikang Road. That’s the main road for Zhongda Textile Circle. It’s very easy to find it, as Wufeng Dongchang is next to the bucket-shaped China Fabrics & Accessories Center. 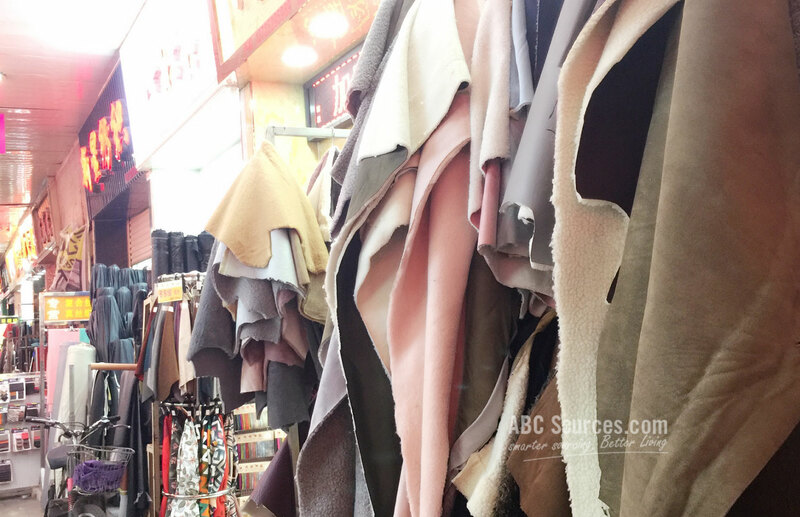 It’s an export-oriented market, and featured products are cashmere leather and other PU materials. 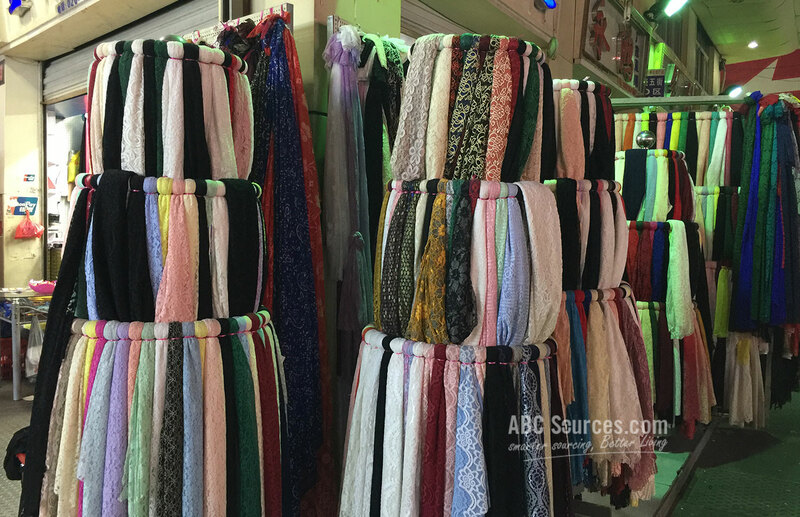 As small it is, many foreign buyers are still coming here to sourcing their wanted fabrics. Go for free samples. Almost all shops have free samples available. Most suppliers would kindly agree to do that if you ask them to cut a small piece from the whole fabric roll as a sample. Usually it is free. Price is quite low. 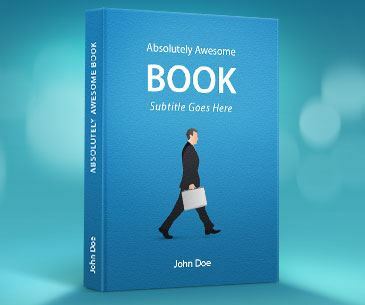 It is mainly targeted at price-oriented buyers. Fabrics are fairly cheap. Most generic fabrics are about 6-15 RMB one yard. For high-end quality ones, their price won’t beyond 30 RMB one yard. Thus there still is a huge profit margin. It’s a fairly small wholesale market. 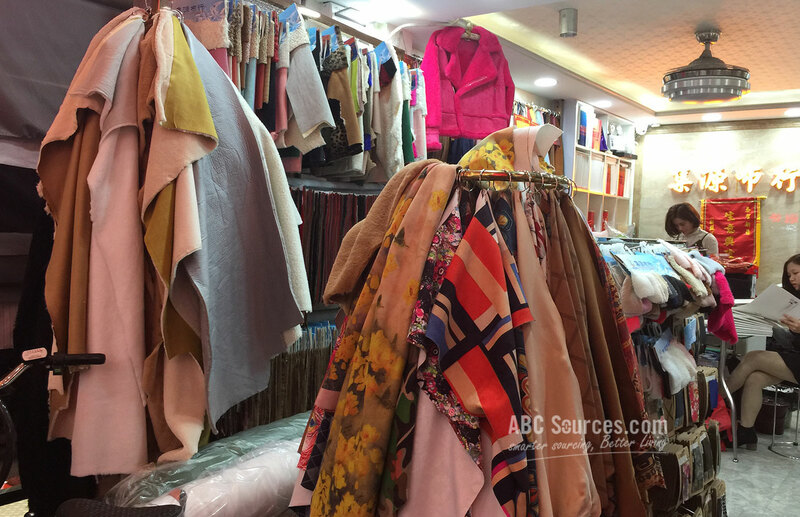 Unlike other large market offering a wide variety of items, in Wufeng Dongchang, only 150 stalls are opening there, specializing in certain specific fabrics such as cashmere leather and PU materials. It’s quite disorganized. Wufeng Dongchang consists of four streets. Generally, a wholesale market can’t allow vehicles to come inside. But for Wufeng Dongchang, it’s totally a different story. Vehicles and packages of any sizes are randomly parked inside and outside. You have to watch your steps as vehicles might be rushing out every corner. This market is of a long history. Compared to its neighboring modern wholesale market, Wufeng Dongchang is quite undeveloped. It is divided into four streets and two floors. Each booth only occupies 7-9 square meters. It’s pretty small. More than that, any supporting service is unavailable. For instance, there is no bank, no WiFi or any logistic site. Packages and trucks are everywhere. Some suppliers have decided to move out, and others prefer to use Wufeng Dongchang as their warehouses. But it still is an export-oriented wholesale market. Generally most stalls have enough stock, and the most important point is the competitive price. As small it is, Wufeng Dongchang still attracts flocks of businessmen coming here. Smart buyers know that it’s a lucrative business.